Very interesting 25 page-ish booklet that covers D&C lines services for the entire 1929 season. Lots of folks would have been traveling on these great ships for work and or leisure ... thought the great stock market Crash later that year probably ended most of the leisure sailings ... folks had no money. This booklets contains all info you would need .. lots of nice ship info , plans pictures etc and lots of port info as well. 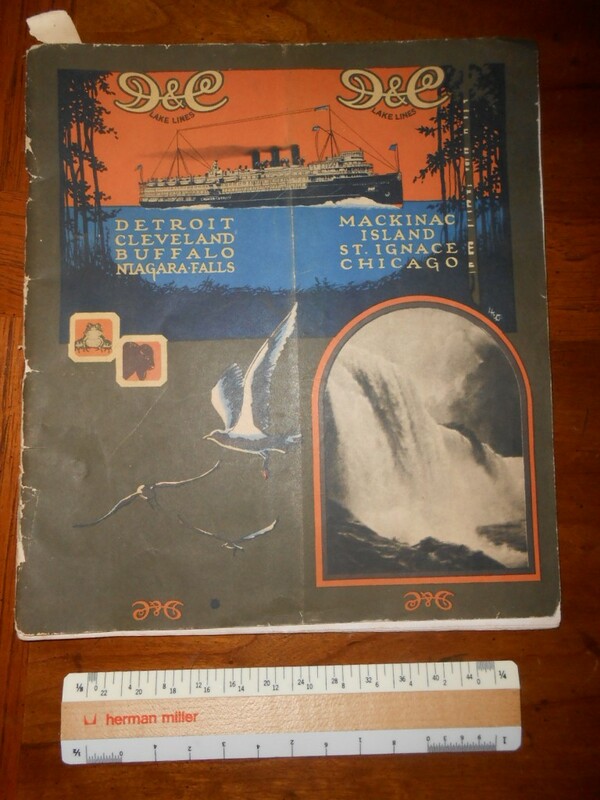 There are quite a few adverts too .. even for "rival" Steamship lines on the Great Lakes like the Georgian Bay line, GLTC and others. The cover of this is a little brittle and is starting to separate form the spine .. but interior contents are what will keep you entertained! Wonderful D&C graphics!